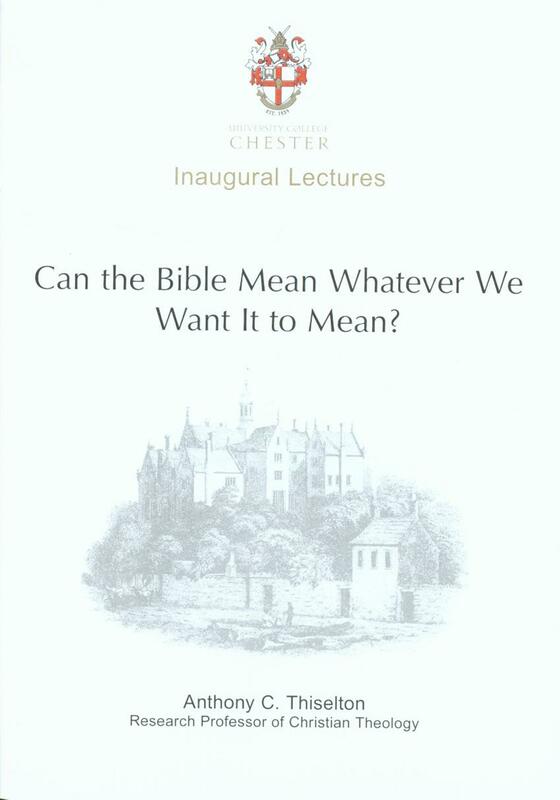 Home > University of Chester Press > Inaugural & Haygarth Lectures > Can the Bible Mean Whatever We Want it to Mean? Anthony C Thiselton, Can the Bible Mean Whatever We Want It to Mean? This professorial lecture offers an introduction to the nature and scope of hermeneutics as an essential resource for addressing controversies about biblical interpretation. Six case studies focus on more traditional resources that emerge within the framework of modernity, with some consideration of the increasing impact of literary theory. The lecture concludes with a discussion of the impact of postmodern perspectives.